Brisbane, the capital city of Queensland, is located on the east coast of Australia. It is a bustling, modern and culturally diverse city. The Brisbane Local Government Area has a larger population than any other local government in Australia and encompasses residential, rural, coastal and forested regions. With a population of over one million people, Brisbane is Australia’s third largest city after Sydney and Melbourne. According to Jones Lang LaSalle (2012), it is predicted that Brisbane will be the fastest growing economy of the mature cities worldwide from 2012 to 2020. Brisbane is a city with many cultures, languages and religions. Of the 1.13 million people in the Council area, over 35% were born overseas and 24% of households spoke a language other than English. 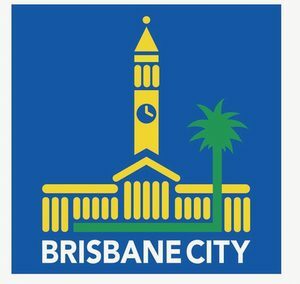 Brisbane City Council, through its Brisbane Vision 2031, sees Brisbane as being a city of strong and diverse communities who will show friendship and care for one another by helping others and where all residents, students and visitors will be welcomed and cultural diversity celebrated. The friendliness and diversity of the community are two of the nine qualities that most Brisbane people value about Brisbane’s lifestyle and community. Vision 2031 for the future of Brisbane was developed in consultation with residents and is one that encourages all residents to be involved in decisions that affect their city. Brisbane City Council recognises the valuable contribution and benefits that cultural diversity brings to the city and is committed to Brisbane being a city where residents from refugee backgrounds are able to participate fully in civic life and are able to live without experiences of social exclusion, racism, discrimination and other forms of disadvantage. deliver initiatives to build harmony, respect and understanding among Aboriginal and Torres Strait Islander communities, people from culturally and linguistically diverse backgrounds and the wider community. 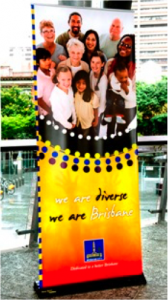 To keep residents updated on Council’s key initiatives and city-wide events, Brisbane City Council also produces a quarterly e-newsletter One Brisbane Many Cultures. Further information on Council’s multicultural programs and festivals can be found on Council’s Multicultural Services webpage. The Lord Mayor’s Refugee Welcome Ceremony is a significant event for newly arrived residents to Brisbane from refugee backgrounds. The event is held annually to demonstrate Brisbane City Council’s support for residents from refugee backgrounds and promote Brisbane as an inclusive city. The ceremony also provides opportunities for participants to network, meet with community leaders and access a range of programs and services provided by government and non-government agencies. This centre, opened by Council in January 2012, was the first of its kind in Queensland, providing people from migrant and refugee backgrounds a community facility to access available services to help their settlement in Brisbane. Brisbane City Council has leased the facility to the Multicultural Development Association (MDA) and Queensland Program of Assistance to Survivors of Torture and Trauma (QPASTT), two of the major settlement services in Brisbane. At the Centre, people from refugee and migrant backgrounds are able to access services to help their settlement in Brisbane. It also provides meeting and activity spaces for a range of cultural organisations and residents to use. Council celebrates Brisbane’s cultural expression and heritage through facilitated partnerships, grants, festivals and events including: Brisbane Chinese Cultural Festival; Buddha’s Birthday; Eidfest; Eritrean Festival; French Festival; Indian Bazaar; Iranian New Year Festival (Nowruz Persian New Year Festival); Italian Week; Oktoberfest; Paniyiri; Polish Festival; Sri Lankan Vesak Festival; Vietnamese Children’s Moon Festival; Vietnamese Tet; Zillmere Multicultural. The Lord Mayor’s Multicultural Awards for Business: The Lord Mayor’s Multicultural Awards for Business celebrate the contribution multicultural businesses make to the Brisbane economy and community through their creativity, innovation and resilience.